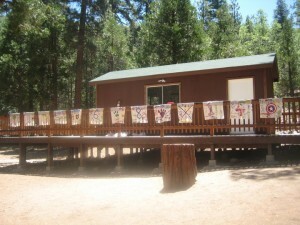 The Woodsey Challenge – We shower before we leave for camp. We shower when we get back from camp. But while we’re up at camp, we don’t shower… Period. Camp Names – Step one of the UniCamp integration process is coming up with a camp name. Since our initial UniCamp interview and training meetings, all of the volunteers have been called on and/referenced in accordance with their chosen camp name. Aside from Knockout, who I’ve known since 7th grade, I don’t look at any of my fellow volunteers and think to call them anything but their camp name. To me, their actual names are their camp names. To call them by anything else just seems weird. One of the first things we do once we get to camp is help the kids come up with camp names, which they are called by throughout the week. The purpose of these names is to give the campers the chance to escape their lives back at home and be whoever they want to be up at camp. Camp Songs – We sing… a lot. We sing during dishes. We sing during line-ups. We sing at campfire. We sing enough that it justifies every volunteer in our Session being provided with a song book. Songs are generally cued by a person or group proclaiming, “IT’S TIME FOR A SONG!” To which everyone else responds, “A SONG? !” Then, just so everyone is clear, the aforementioned proclaimer(s) will announce, “IT’S A REPEAT AFTER (INSERT CAMP NAME HERE SONG!” And thus the call-and-response style song begins. Oh, and one other quirk about camp songs is that after they’re over we generally sing them “all together”, and then once more at “super-lightning speed”… Superlightning speed is where you literally sing only the first and last word of the song. Line-Ups – We line up every day before breakfast, lunch, and dinner. As a means of roll call, we perform a different unit chant at every line-up. We sing songs. We ask campers from each unit to tell jokes, dance, impersonate volunteers and/or fictional characters, etc… We ask campers to act out which line is the shortest, longest, hungriest, sleepiest, etc… And we also read notes from the shout out box. Woodsey Pageant – There is one night up at camp where the campers get to dress up the counselors in whatever attire they choose. Often times this results in girls dressed as boys and boys dressed as girls. I also witnessed drawn-on unibrows and facial hair, makeup applied in the sloppiest ways possible, bras and undergarments worn on the outside of one’s clothes, etc… You and your co-counselor then model your outfits in front of the entire camp at dinner line-up… and wear them through the rest of dinner. 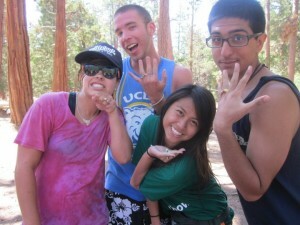 Woodsey Bling – This is the name for jewelry that is crafted up at camp. The most typical forms of Woodsey Bling are bracelets/necklaces made using yarn, leather lace, and marbles. What’s the one and only rule that governs Woodsey Bling…? You can’t keep anything you make! The Staff/Volunteers – From board members to program Directors to LSHIP to kitchen staff to specialists to counselors… The essence of UniCamp is founded upon the people who put the most time and energy into it. Period. was that the movie fell immediately after the marvelous co-reveals for the volunteers. moving about between the campers themselves. So what is it that brings us back? 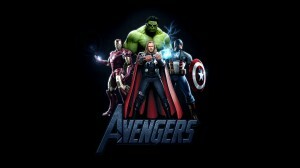 The Avengers fight “the foes no single superhero can withstand”. inspire, encourage, devote our energies to making the world a better place one life at a time. have our own set of special abilities. And instead of grouping up to become the Avengers, we group up and form UCLA Unicamp. And Woodseys, if I may say so myself, are a force even fiercer about making the world right than the Avengers ever could be.